London's Chinatown is always bursting with energy. It is a riot of flavours, smells, textures and colours waiting to be explored. 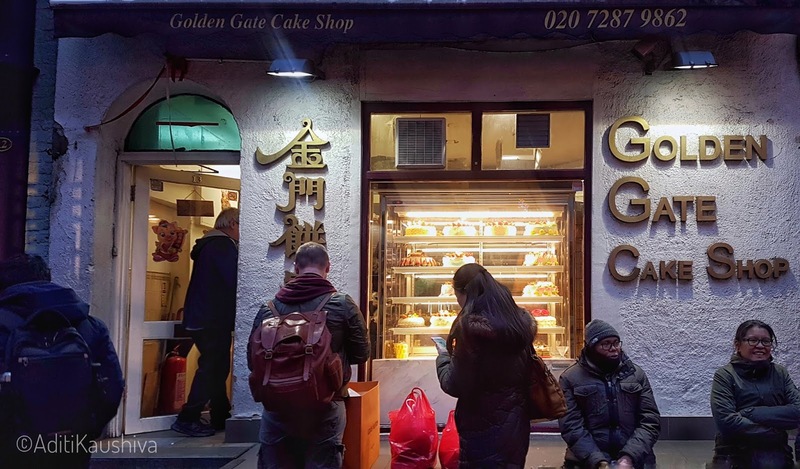 And with the start of the Year of the Pig (5th February) Londoners and tourists alike are heading to the city's Oriental wonderland, eating and drinking their way through dumplings, pig-shaped macarons and everything in between. 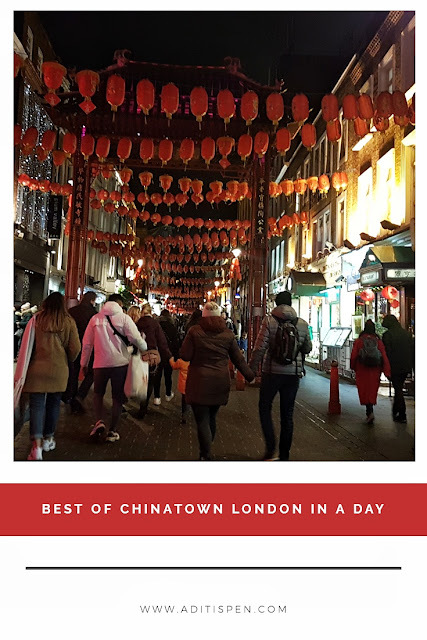 I spent last Saturday evening wandering through its many streets, and here's my list of the best of Chinatown London. 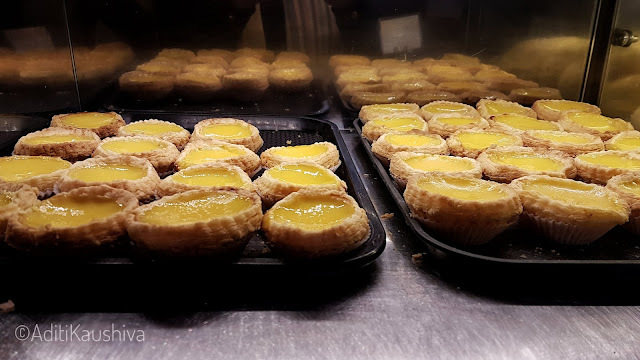 Silky smooth and creamy, slightly wiggly and a whole lot flaky - the egg tarts at Bake were surprisingly good. I don't really like eggy taste but these I can vouch for. I also tried the famous taiyaki. Taiyaki is a Japanese dessert, a fish shaped cake filled usually with custard. It imitates the shape of the Tai (Japanese red seabream), thus the name. Make for a great treat, warm custard oozing in your mouth in the cold cold London weather - perfect start! I found this busy Chinese Gifts & Crafts shop on Newport street. Right at the entrance, in a tiny corner they were preparing Jian Bing - a classic crispy crepe with savoury fillings like spring onion, coriander, thick soy sauce and chili. Inside was very little place to walk, yet busy. 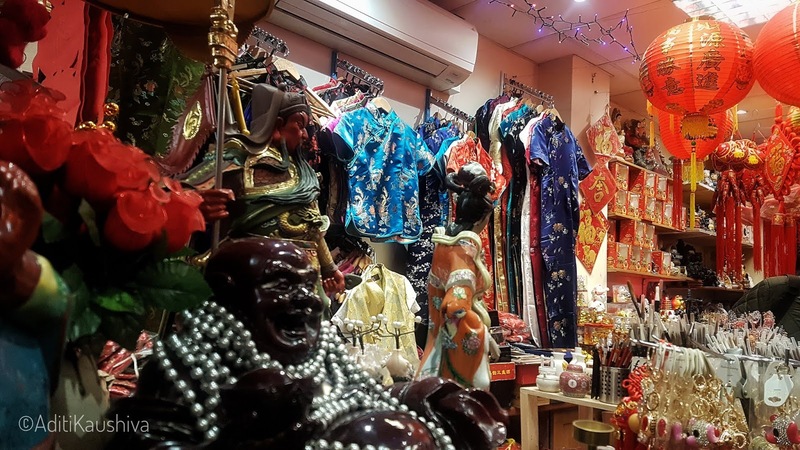 Customers were stocking authentic Chinese gifts and craft items - paper lanterns, waving lucky cats, silk slippers and other colourful trinkets. 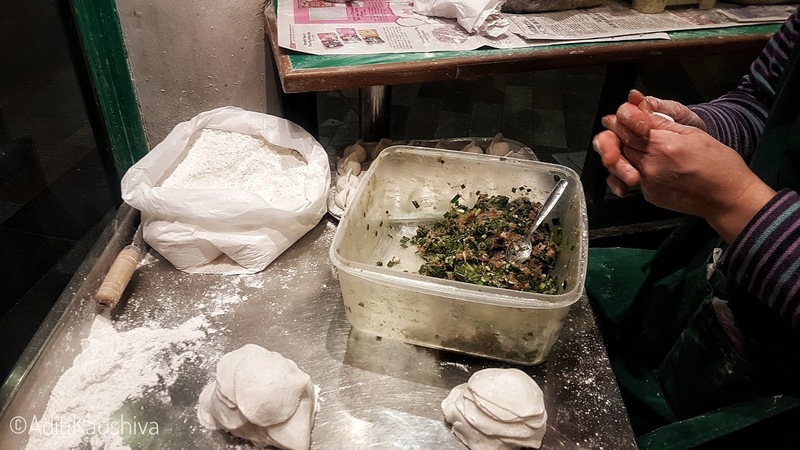 Right opposite the gift shop is the vibrant jade-green hued Jen cafe serving succulent handmade dumplings. The restaurant’s very basic but the dishes are served in generous portions. And you can also watch the dumplings being lovingly filled and wrapped in front of you. 5. Watch a live street performance under the red and gold hanging lanterns. Chinatown is also a place you can find inspiration for the next time you cook at home. Head to one of the many local supermarkets to stock up your kitchen cupboards with interesting staples and ingredients. I headed to SeeWoo Supermarket (Lisle Street), the original supermarket that has been there since 1975, which is famous for its aquarium fresh seafood - live crabs, eels, lobsters, fish - bag your pick. I skipped the many eat-all-you-can buffets to find a cosy corner at Hung's restaurant. 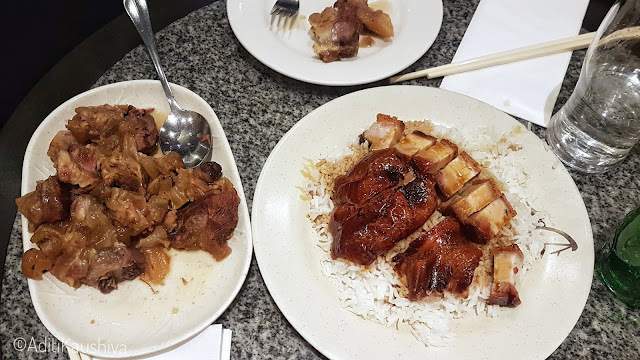 Popular as a late night stop after one too many drinks (stays open until 4am every night), their their roast duck, chicken, or BBQ pork with rice always comes out as a winner. I want to head back again, this time for breakfast, to sample their congee, a traditional Chinese rice porridge. 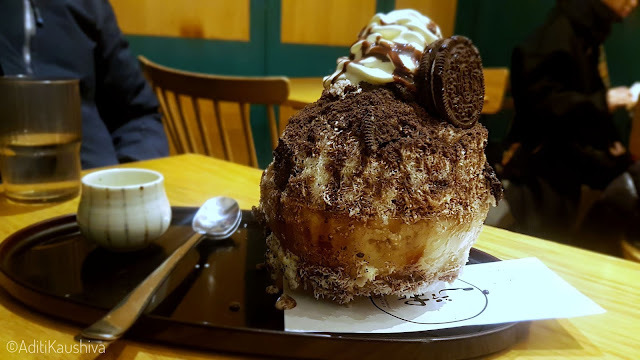 Save room for dessert, especially if you plan to have Bingsu - the popular Korean dessert at Shibuya Soho. Bingsu is not your regular ice cream; they are a huge mound of flaky shards of ice milk topped with selections of your choice - oreos, strawberries, mangos or azuki red beans. You can watch the staff pour milk into a gleaming silver gadget that transform the liquid into tiny shards of ice - quite fascinating. Mind you, this dessert can give you a brain freeze. So go slow, and enjoy the soft snow melt in your mouth. And that's all in a day, folks! How did you like this 24 hour guide to Chinatown? 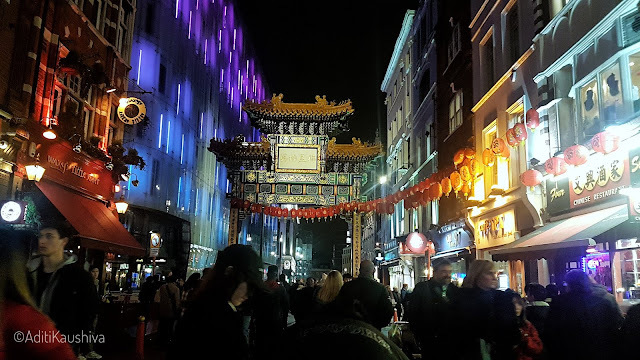 London's Chinese New Year parade kicks off tomorrow, 10th February - the streets of West End, Chinatown and Trafalgar Sqaure will turn into a stage for all-day entertainment and celebrations. Let me know if you plan to join the festivities? Oh my! Must have been quite the experience. I remember watching something on chinatown on some travel program and couldn’t help wonder when I’d be able to visit. Thank you for taking me on the journey again. I would have totally loved to go with you. This is my kind of restaurant hopping... Enjoying little bits of food here and there, soaking in the energy of celebration. What a fabulous way to spend your day. This would have been so much fun. Food and fun in the right amount. Great way to spend a day.